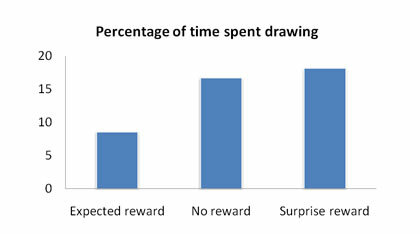 Before they had been drawing because they enjoyed it, but now it seemed as though they were drawing for the reward. What they had been motivated to do intrinsically, they were now being given an external, extrinsic motivation for. This provided too much justification for what they were doing and so, paradoxically, afterwards they drew less.